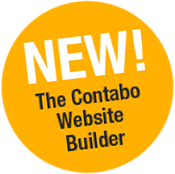 NEW feature: The Contabo Website Builder - available for free! This new feature is available for our webspace plans only. We are sorry to say, but you cannot use it on your VPS. Hi, is this website builder generate the html pages or php scripts? For further inquiries, we kindly ask you to get in touch with us via e-mail (support@contabo.com). This guarantees fastest processing of your request.